In the past few weeks I have visited many different businesses in the Northeast Kingdom of Vermont. While all the businesses have their own models, produce a wide arrange of products, and have their own stories, one question has repeated itself: the question of scale. The local food movement is centered around, well, localism. A pillar of the movement is the belief that a prospering local food system can improve the community (economic growth, education, health, etc.). In theory it sounds wonderful to have a bunch of small farms in every community producing everything that community needs; in reality, it is just not possible (or is at least very challenging). Not every community lives in a climate conducive to yearlong food production. Not all communities can produce enough local food to sustain their populations (think of New York City, for example). Not enough people (as of now) even want to be farmers, or have the knowledge base to run a successful business. And then there is “economy of scale”: the idea ingrained in American society that bigger is better – more profitable, more efficient, and generally cheaper. And I agree that bigger is better – up to a point. 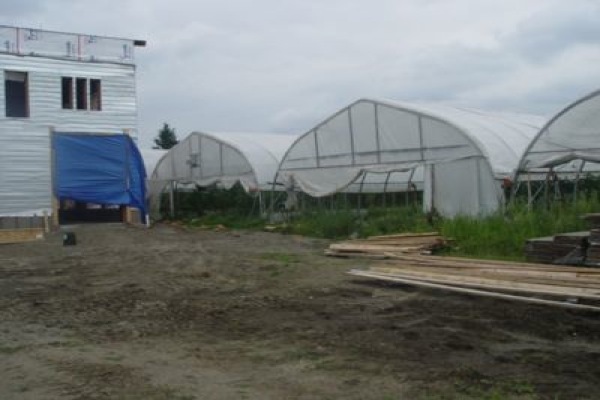 It allows fresh food to reach more people and sometimes cost less. It may mean that jobs are created and the business owner is able to run a profitable operation. But at the same time, the larger the scale, the bigger the costs. There are social, environmental, and moral issues that every business must consider when deciding just how big to get, and these issues are not always obvious. Let’s consider Pete’s. Pete’s Greens is a four season organic vegetable farm in Craftsbury, Vt. They offer a wide arrange of produce (and pasture-raised chickens), but specialize in mixed lettuces, tomatoes, and root crops. They also offer prepared and preserved items like salsas, frozen vegetables, and chicken stock. Pete’s sells in three different ways – direct to the consumer through a farm stand and at a farmers market, wholesale to restaurants, and through a large CSA. Most of their business is generated through wholesale accounts, and produce is often transported (by semi-truck and refrigerated trailers) as far as New York City or Boston. Pete has acres of farmland and just built a large new processing center. While organic and environmentally-friendly practices are strictly followed (cover-cropping, composting), the farm feels pretty industrial. 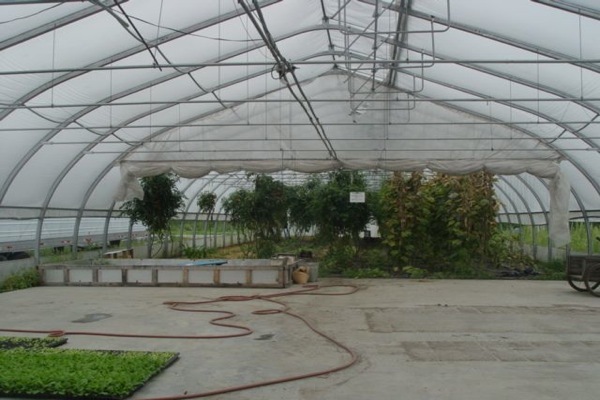 Large machinery is constantly in use, legal foreign workers are recruited every summer, and most fields/greenhouses are planted in semi-monoculture (greenhouse after greenhouse of tomatoes, for example). Pete’s is a big name in town and offers some jobs, education, and is active in community organizing. However, the prices for his produce are so high that few local people can afford it. Many in town feel that Pete’s is too big, too business-like, and not sustainable. But Pete is offering organic produce to many people, and in a manner that is still exponentially better than those of industrial farms. Instead of food coming from California, Mexico, or even India, Pete’s is helping people on the East Coast enjoy food grown on the East Coast. While Pete’s may not be as eco-friendly as a small, permaculture garden in your backyard, it is vastly better than the rows and rows of monoculture which produce most of our food. And most notably, Pete’s size has allowed him to turn a profit. A profit, by organic farming. There is something you don’t hear every day. So maybe Pete’s Greens – the mid-sized farm, is part of the solution. Cooking Tip of the Week: Have your peas finished sprouting and now it is time to take them down? Don’t waste the shoots – the tender pea vines (the top parts) can be washed and eaten in salads! Gardening Tip of the Week: Begin planning your fall garden now! Check out this growing guide by High Mowing Seeds. Alexis ZK is pursuing her interest in sustainable agriculture and local food by spending the summer WWOOFing and studying at Sterling College, VT. During the school year, she studies French and Food Studies at NYU, and fulfills her addiction to farmers markets. Follow her internship here. Once again, Great blog Pioneer Girl! Your perspective is refreshing. It’s too bad Pete’s doesn’t give a discount to local buyers, i.e., people who live in a 20 mile radius of Craftsbury Common. The business could still sustain itself and turn a profit by charging the higher prices for shipping, but provide an incentive for the local community to buy organic. Love ya!